I've seen a therapist off and on since I was a kid. The first couple were really odd, but maybe that's because I wasn't old enough to express myself and I didn't know what to say. I can't remember a time in my life where I didn't feel nervous and afraid. I joke with my mom that she must have had a stressful pregnancy because I was born and immediately wanted to turn back around. Things got better my senior year of high school. I didn't need to see a therapist and I was coming into my own. That natural quest for autonomy and independence took over, and I relied on friends and my studies to distract myself from all the noise I've always had in my head. I felt like I hit my stride, and I finally came out of my shell and became more social. Of course the anxiety didn't disappear, but I had my priorities straight, my confidence grew, and I figured out that I'm a damn good student. So when I graduated college, I really struggled. I felt so incredibly lost, and I definitely went through what is now referred to as "a quarter life crisis." I even read a book about this by that same title, and it convinced me to begin seeing a therapist again. I called someone that Nate's friend was suggested, and she has been my sounding board ever since 2010. What I love about her is that she isn't typical in any way. She lets me vent when I need to, but she doesn't just sit back, nod politely, or take notes. She actually calls me out on my bull, tells it like she sees it, and steers me into the direction I want to go in. She gives advice and suggestions but ultimately it's up to me to put in the work. Because of this, there have been periods where I stopped seeing her. I would hit a wall because the work was too emotional for me, so I skipped appointments or just stopped going for a few months. I discovered that's what I do when I let my anxiety win - I isolate, retreat, and stop wanting to be around people at all, even friends or family. Lately the brain fog is so severe that I have days where I don't want to get out of bed. I force myself to, but it isn't easy. I'm seeing my therapist regularly and that definitely helps. Just like a personal trainer, she pushes me to want more for myself and to do the absolute best I can to cut the crap, stop feeling sorry for myself, and keep going. I hope you ladies all have something or someone similar in your lives. Obviously it doesn't have to be a therapist! Just someone you can rely on to get you through rough times. I'm lucky enough to have a few, but therapy is the one thing that keeps me accountable. I hope you enjoy your day. I'm off to San Diego to see my best friend. You could say that's therapy too. happy for you to have such a fantastic therapist and yes meeting with friends is totally therapeutic. thank you for sharing your vulnerability and honesty. enjoy your trip. very impressive to help yourself! So sorry you're dealing with brain fog and I'm glad you have friends and your therapist to turn to. Sending you lots of hugs - it's so helpful when you share what you're going through - I'm sure it's not easy but it helps people realize they're not alone. <3 I personally deal with a lack of confidence in certain aspects of my life - which I'm trying to overcome. I have seen therapists off and on for some issues I've gone through and they are so helpful! I am lucky to have some good people in my life right now I can turn to. Hope things get better for you! Aloha from ��Hawaii! I came across your blog because I was searching for a black Michael Kors Selma bag and saw your post about it. Then this picture captured my attention because it reminds me of ��Hawaii! Did you take that ��photo here by any chance? I'm originally from Maui but live on Oahu now. The more I read your blog, the more I find we are similar in many ways! I am also an only child; I'm 32 now but remember having a "quarter life crisis" before; I love your taste in �� handbags (classic/chic/versatile look); I got married a couple years ago and ever since then my husband and I keep getting asked when we're having kids... Or worse, some people have asked me if I'm pregnant but I'm not! It's just my "love muffins" (love handles + muffin top �� lol). I used to be very self-conscious and internalize all my thoughts. I tend to overthink things A LOT and all of my family, friends, and husband have always been there for me with nothing but love. But I've discovered the one thing that really eased all my anxiety was when I accepted Jesus into my heart. It seemed like prior to that, life was a bit foggy and I was searching for something that was missing but I couldn't pinpoint it exactly. I'm not trying to sound like an overly religious person, but am honestly sharing my heart and what helped me through those times. Wishing you all the best in life and sending you some ��☀️sunshine from HI.�� Aloha! Wow, I'm speechless! This is honestly one of the sweetest and most thoughtful comments I have ever received, and thank you so much for taking the time to write :) I have been going to Maui since I was 5 years old because my godfather (who I love like a father) lives in Kihei. I visit once every couple years, but wish I could go more often! 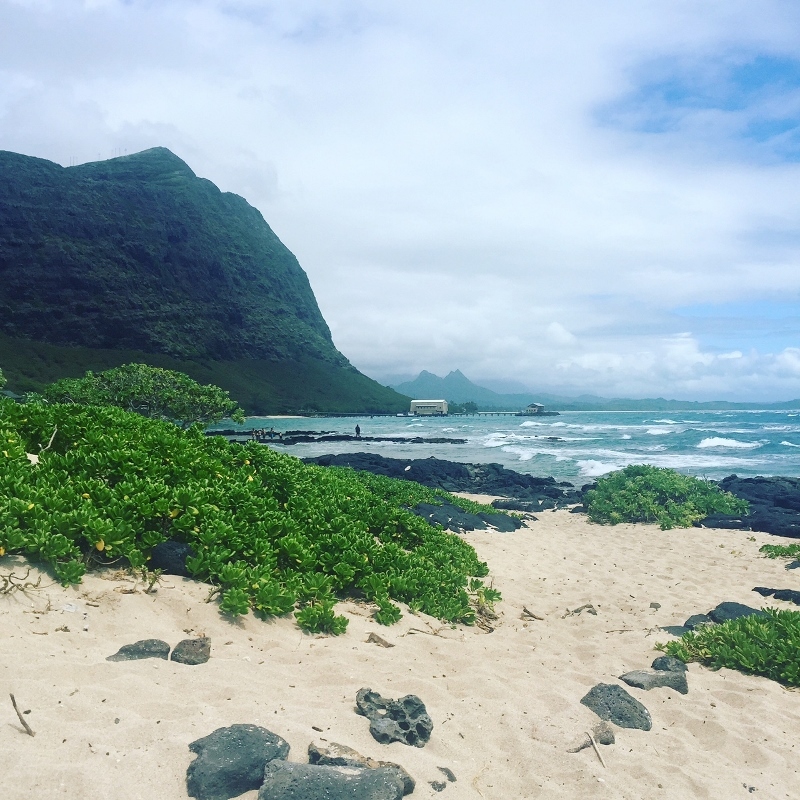 Last year, I went to Oahu with my husband and all the photos I have posted of Hawaii were taken with my phone. I truly love it there, and you are so lucky to live there! I have been considering faith a lot lately, and I do agree that people who believe in a higher power are healthier and happier so I want to explore that. I love talking honestly about what I'm going through in life, because I hope it helps someone. I can't always blog about clothing and beauty, although I do love it! We definitely have similar lives, and I hope we can keep in touch! I would love to hear from you again :) Sending you love from Cali <3 Aloha! That's okay, not a problem!